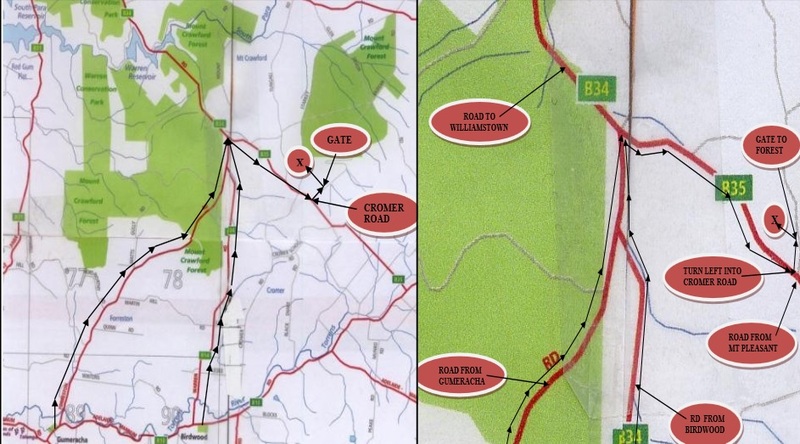 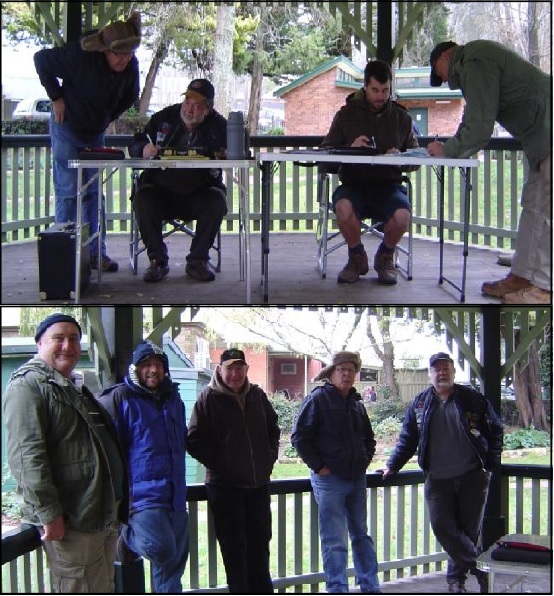 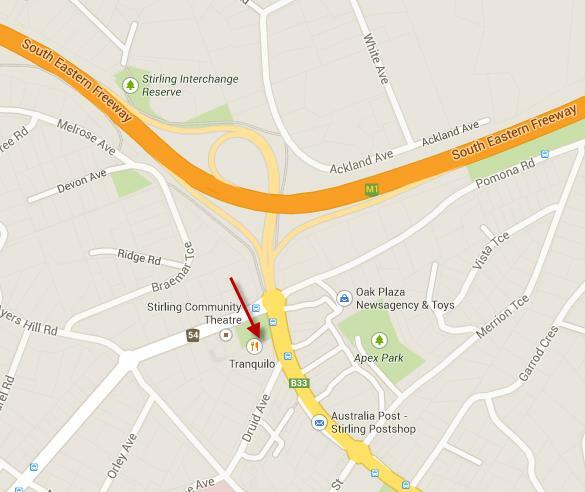 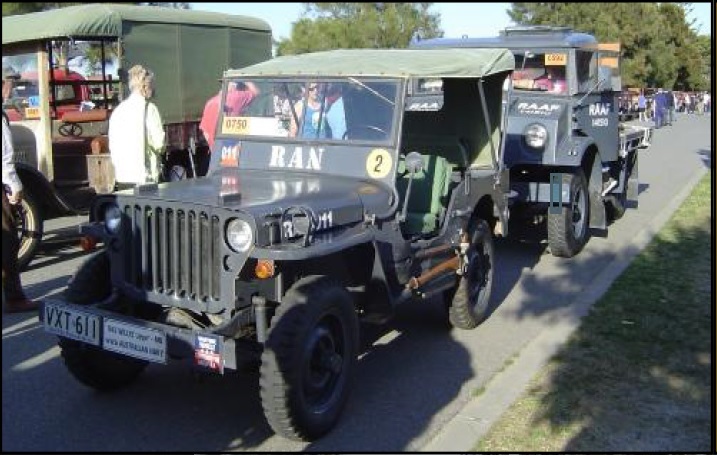 The annual Bay to Birdwood rally was held on Sunday 28th September 2014. 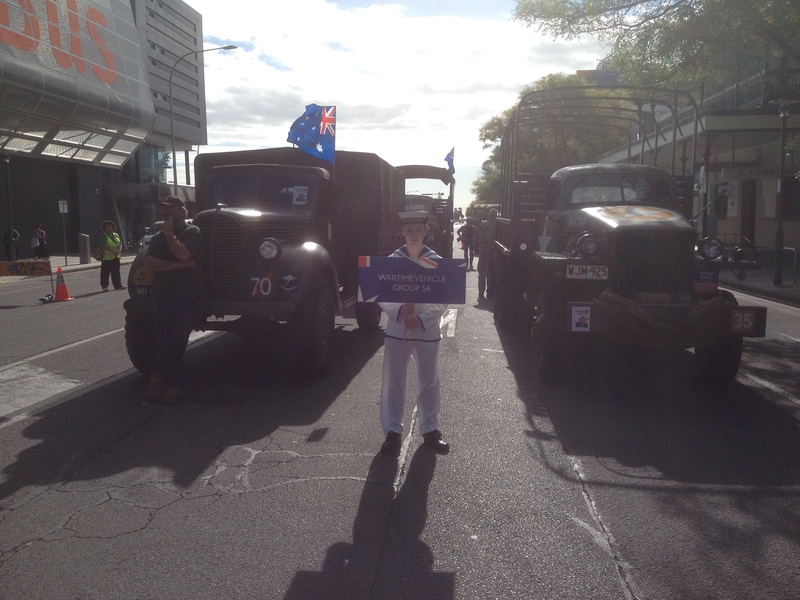 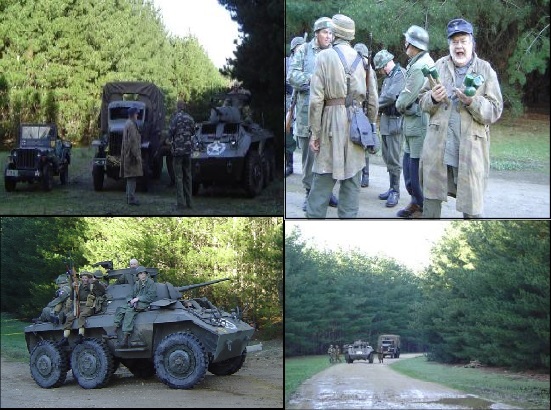 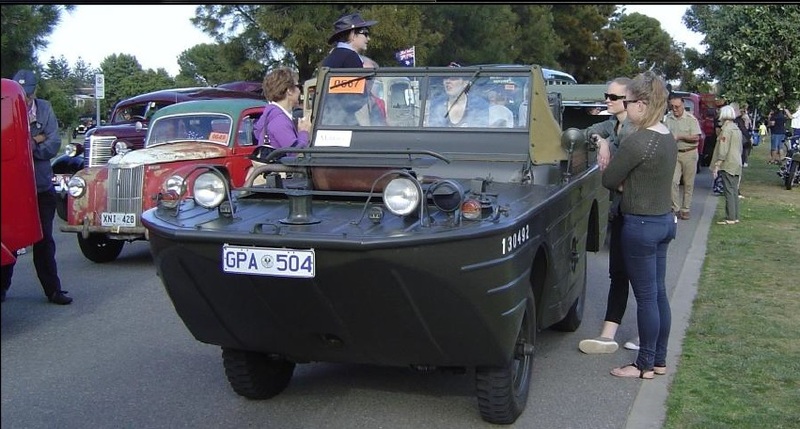 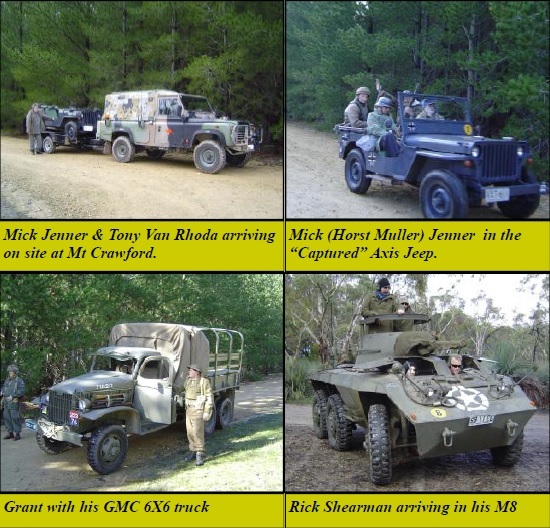 This years event was for vehicles manufactured prior to 1956 and the run was well supported leaving the Bay at exactly 0830 Hrs for the long drive through the city and into the Adelaide Hills finishing up at the Auto Museum in Birdwood. 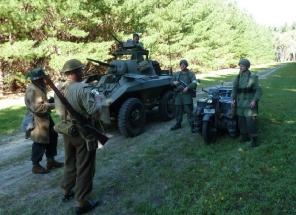 There were large crowds who again took to their vantage points along the 70 Klm route. 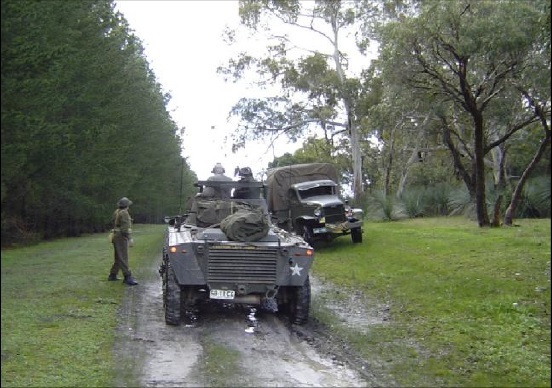 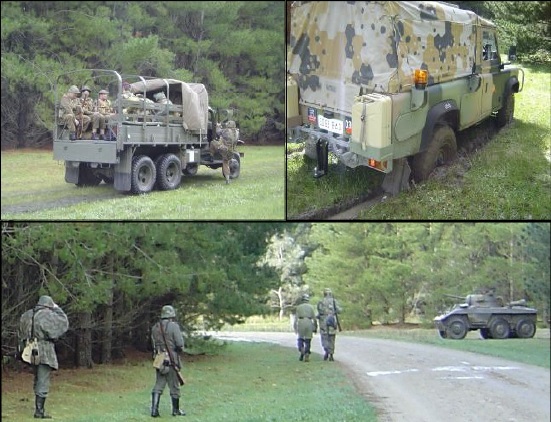 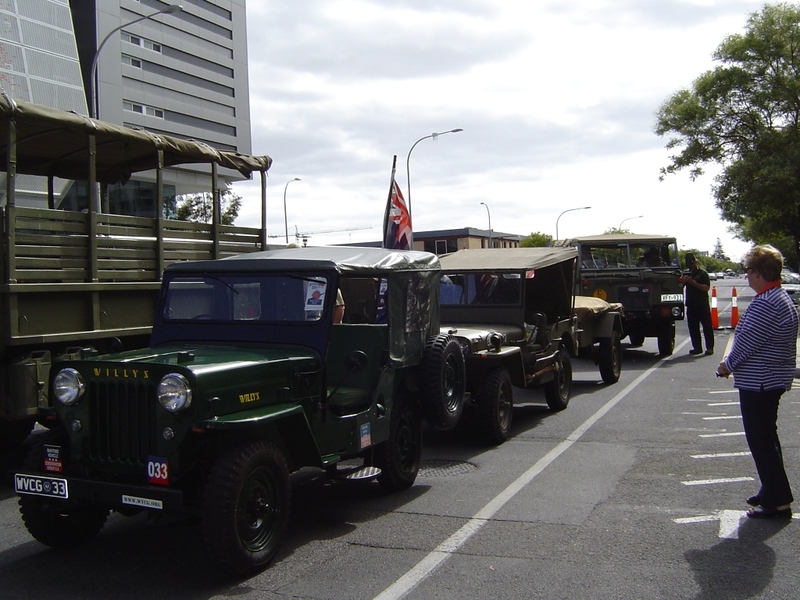 Around 20 plus military vehicles in the run with 8 from our own club which was great to see. 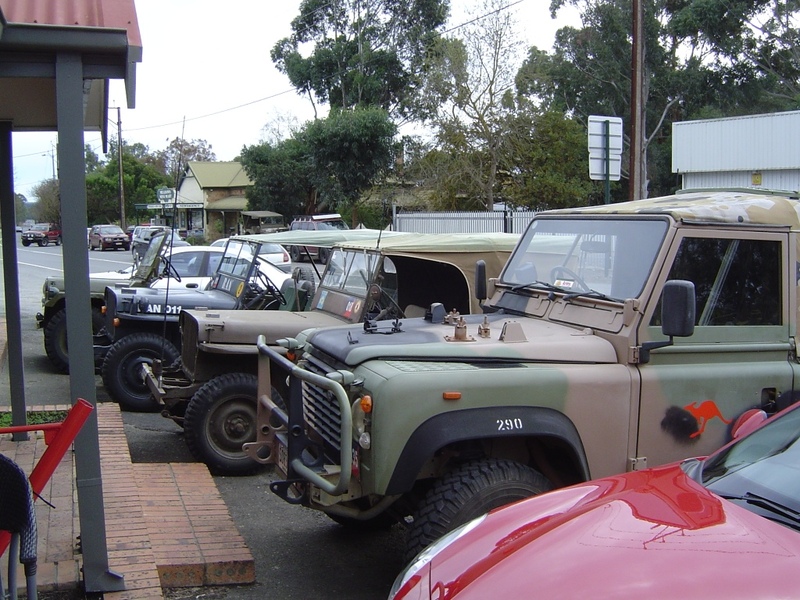 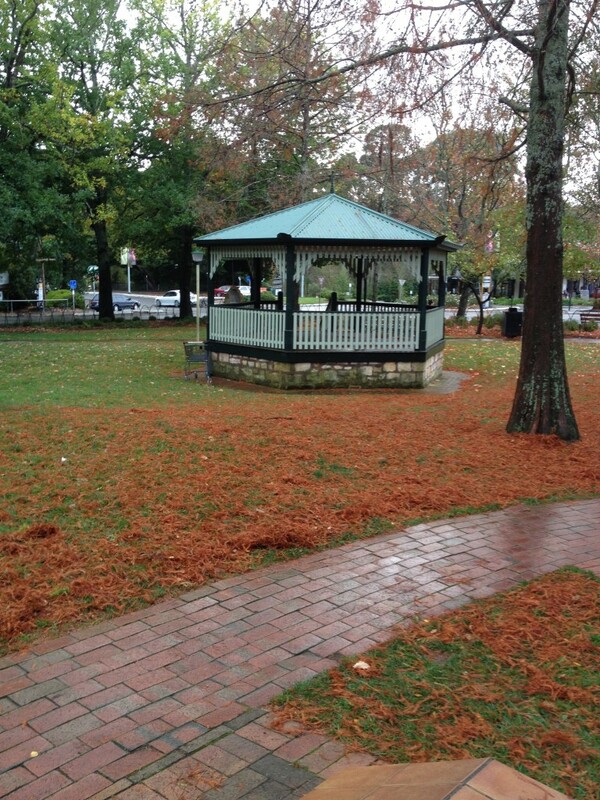 It was good that they all made it to Birdwood without incident. 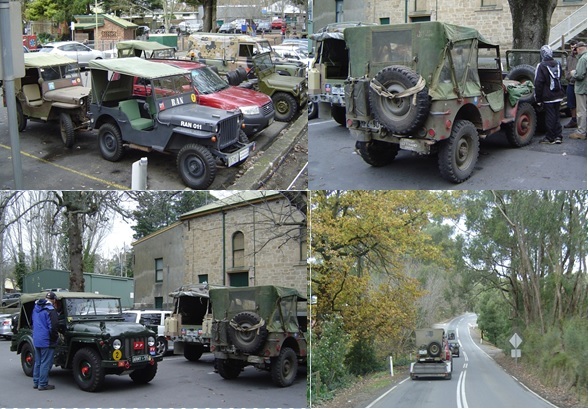 Once we left the outskirts of the city and started to climb into the Adelaide Hills we passed a number of the old timers pulled over to the side of the road due to overheating. 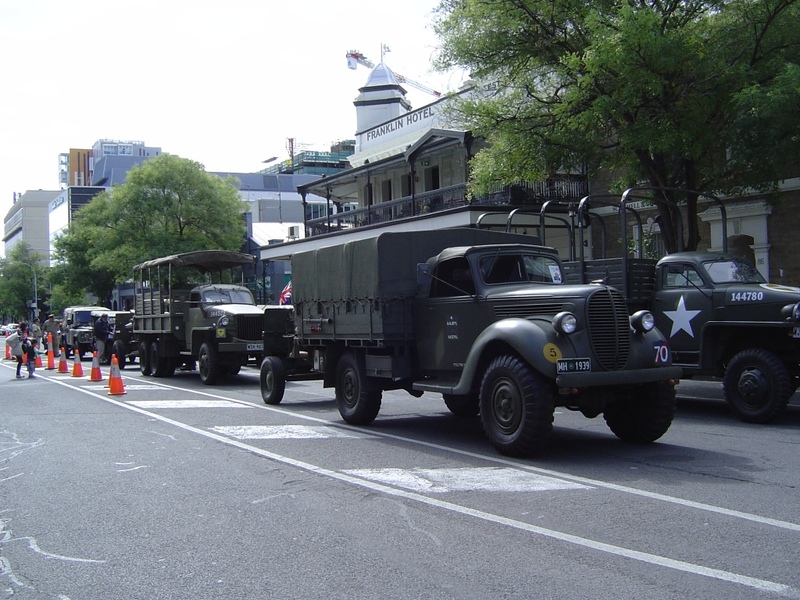 The day was very hot with very strong winds, which was at times unpleasant for the drivers and onlookers. 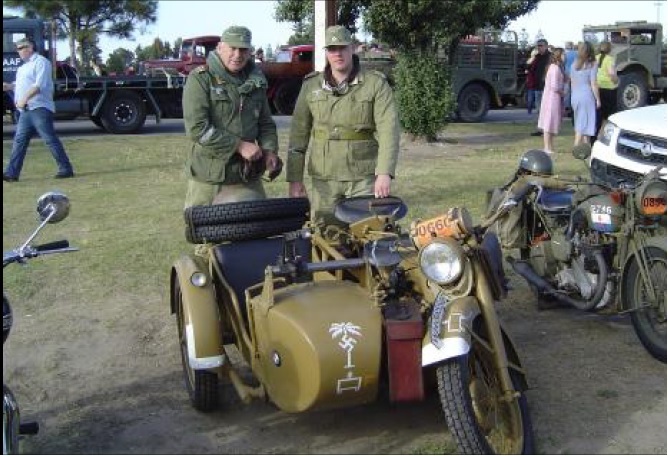 Dave Lean of the RSA Group drove is Africa Korps WW2 BMW Motorcycle and sidecar. 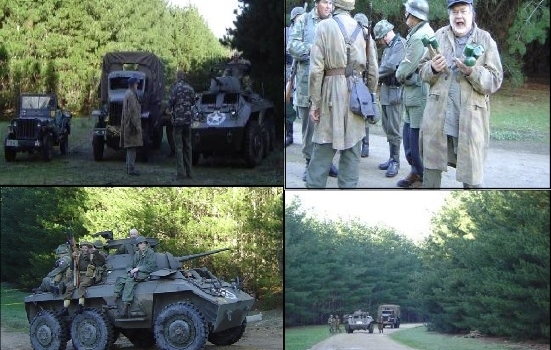 They were nicely turned out in authentic Africa Korp uniforms and were constantly in demand for photographs. 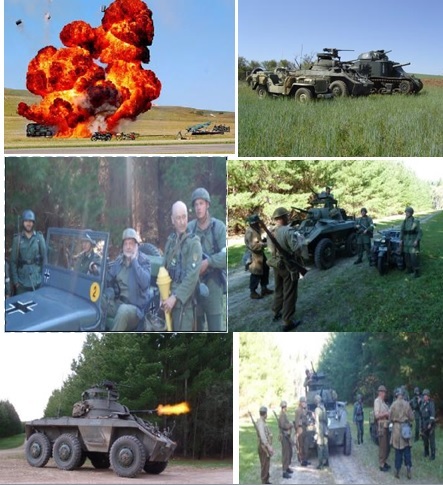 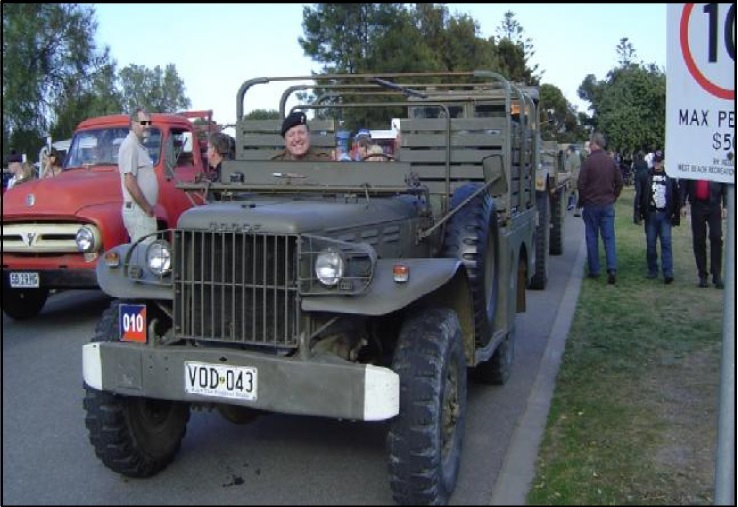 Pedr Horley drove his Dodge Weapons Carrier. 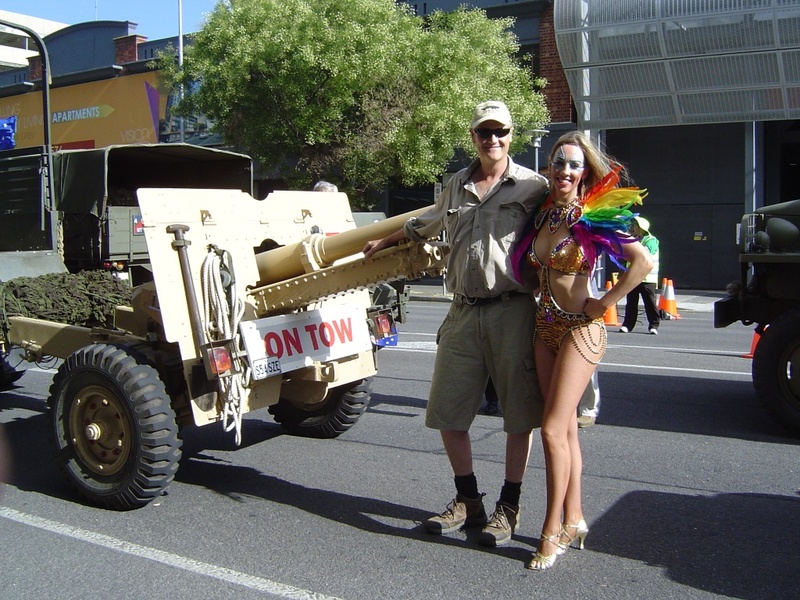 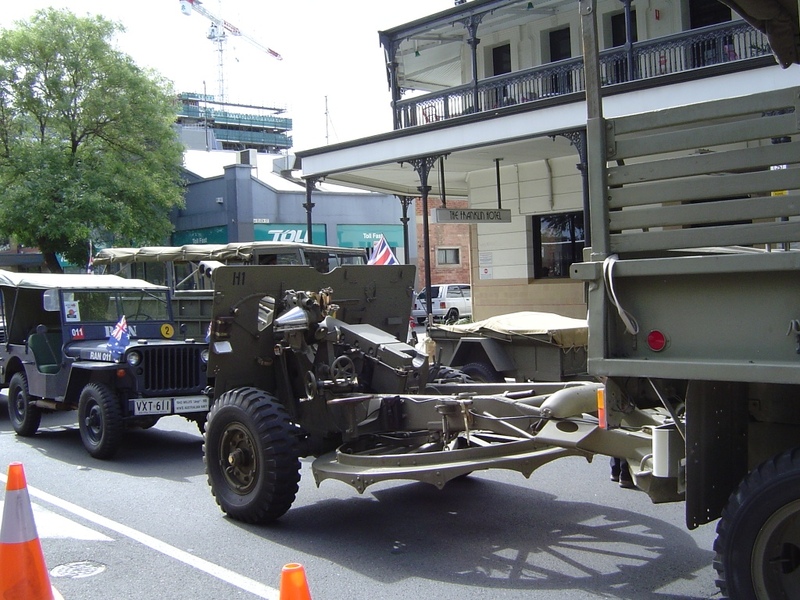 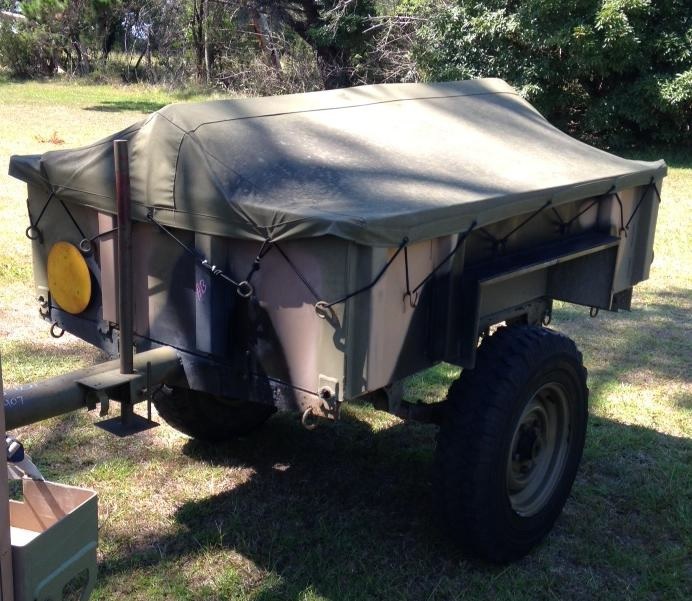 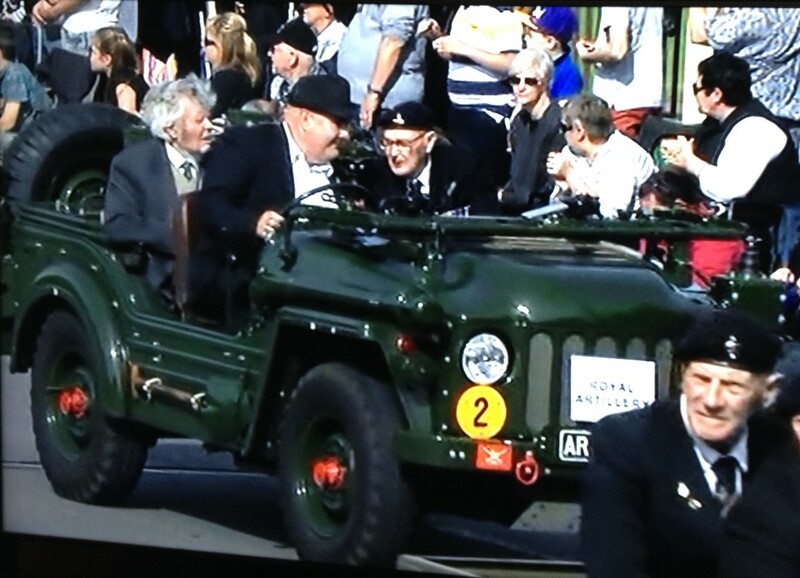 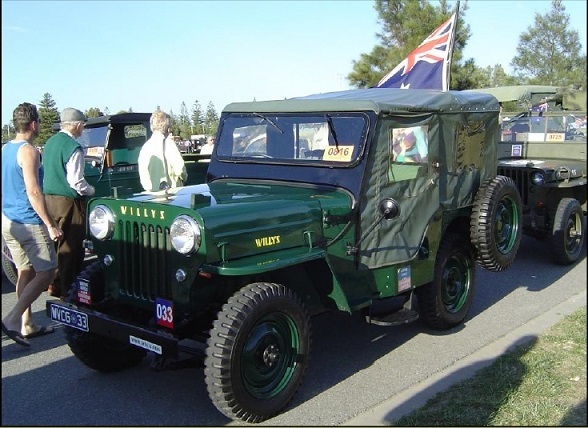 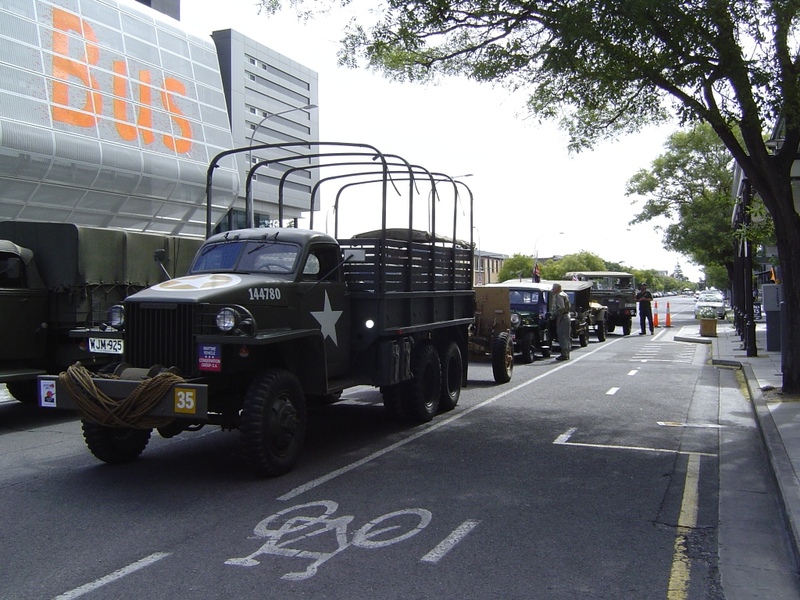 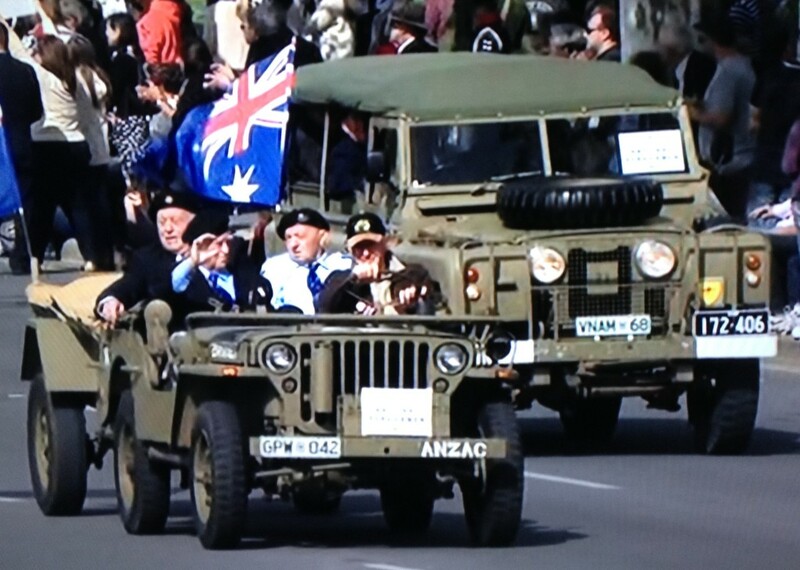 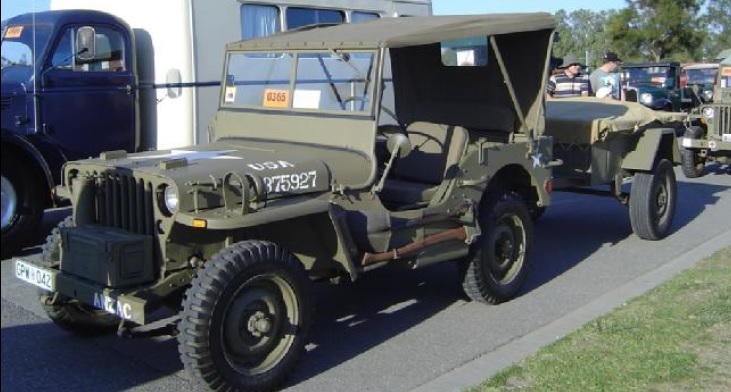 Kevin Tickler drove his 1942 MB Jeep and Trailer down from Gumeracha. 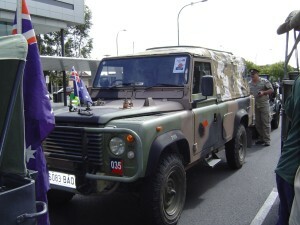 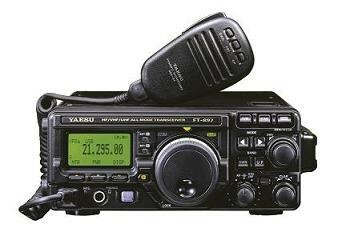 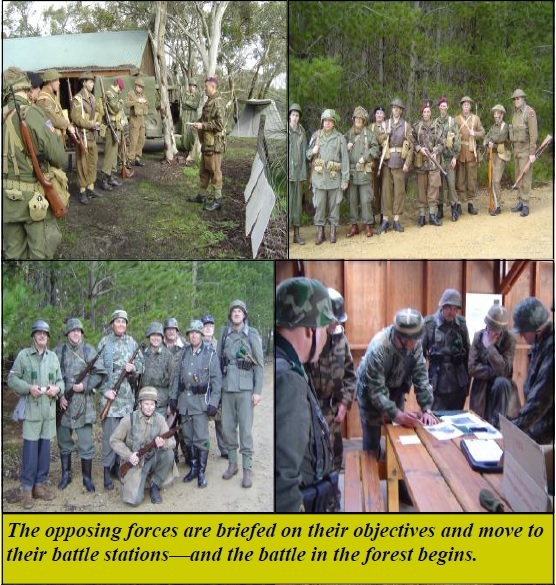 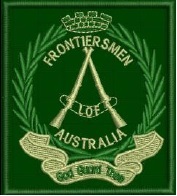 by the Australian army. 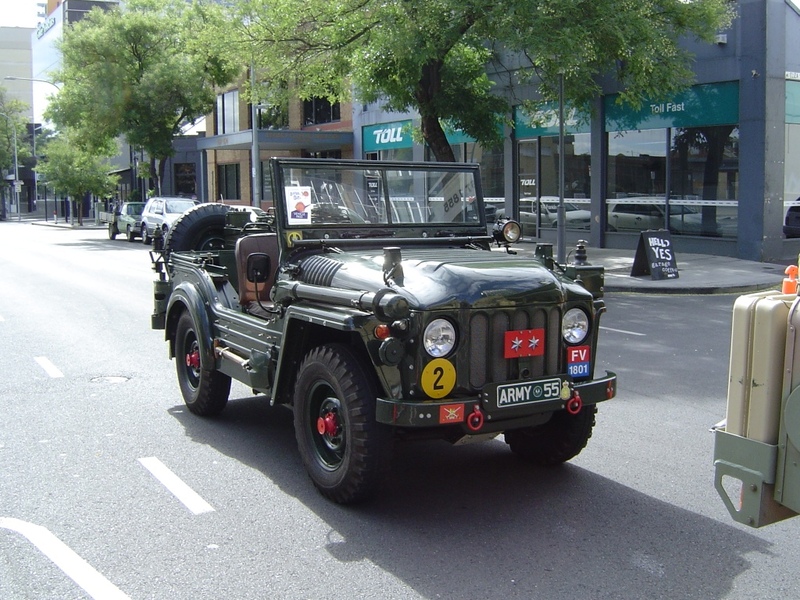 New wheel bearing recently fitted.